Heads up, Hubbers! The new design we announced yesterday on our blog is now live on Hubs within the Technology Topic. Check it out! Keep in mind that this is all part of a test and is going to be actively tweaked. Before we roll out anything site-wide, we want to make sure it's the best design possible. Thanks for the suggestion! That's definitely something for us to consider. Though keep in mind, we're in very early stages of testing this design, so at this point, it wouldn't be practical for us to consider rolling out different backgrounds for sub-topics. I agree with The Engineer. Right side of this design is too much empty though. Hmm the design looks good, but the score for my hub is not showing. Neither are my links to other hubs. Are you referring to the Hubs featured in the sidebar? I like the new techie design and the feature at the end of the hub stating what other hubs are being read. I think this is a highly motivating idea and hope it makes it through the tweaks.. I did. I like the clean look. I am much more likely to click on a text ad myself than I am on an image or banner ad. I especially like the absence of mouse over video ads I accidentally mouse over when I'm responding to comments. --The avatar and "level -- commentor" badge ride directly over the text on some comments. I see it too - when I look at the comments, there isn't an avatar there at all. But when I made a comment, the avatar shows up over the comments. When I go back to the hub, all the avatars are gone. Looks like you found a bug. We'll get that fixed. Sorry! I really like the clean look and the absence of the hubscore. Will the reduced number of ads mean reduced potential income, though? I REALLY like the sleek look. It is very clean. If I had to offer any critique, it would be that the header is offset from the body text. "Explore, notifications, acct name, and start a new hub" are hanging over to the right which makes it look like something is missing underneath or it is off-centered. But, I very much like this layout! Heya GinnyLee! Honestly, we're testing out whether or not reducing the number of ads might increase potential income. Sometimes fewer choices can be a good thing. If that doesn't turn out to be true, of course, we'll adjust the ad level and placement accordingly. I really like the sleek clean design, which keeps the post itself as the main part of the hub. I also like the background graphic. It adds much interest. I like that the hub score is not on it. I like the gray bars separating out the sections. I miss the contact the author, and search other author's hubs section. There is no indication that the author has written other things, and I'm not sure people would click on the name. Unfortunately, Google Analytics did not provide details about which of the author's links were being clicked from the top of the page. I like the "Others are also reading" being at the bottom of the page, so that readers don't have to scroll back up for it, and are done with the hub before they go there. I miss the icons though for the related links. Hopefully people will still take the time to leave a comment. I don't miss the voting buttons. Since I don't click the ads, I don't know, but I think I would be more tempted to click on the graphical ads instead of simple lines of words. I think it would hurt ad revenue, but I guess your test will see. I really dislike the look. I write tech hubs exclusively and this looks very unprofessional, one column of text in the middle of a empty page. The side bar is gone and so are most of the banner ads. Actually there is only a text base ad at the top that looks very un-appealing, some text ads buried in the hub that it doesn't even stand out, although a few display ads have appeared in some hubs. I am not an expert on web design for online media content, but if I compared what was done here to professional blogging sites like the Huntington Post or Technorati or even online magazines like eWeek, this looks like it was done by a bunch of amateurs. I am anxious to see the impact on ad revenu. This month I was projecting about $100 in revenu. I will monitor the impact the new and improved (???) look ad revenu compared to the first half of the month. We'll be monitoring ad revenue within this topic very carefully, too. This is just a test design, klanguedoc, so don't worry- we'll be polishing and refining it, and before it becomes permanent or rolls out site-wide (IF if becomes permanent/rolls out site-wide), we'll have worked out all the kinks. I agree hate the new look. I still don't like the author image/info gone. Why is it no longer being featured along with read more hubs, contact author? At least feature the author besides the byline. Will there be feature ads on the sidebar? It looks too bare. Is there specific reasoning why HP wants to make a major change to the current layout? We're seeing if removing ALL unnecessary complications (which will make the content of the Hub, the one and most important thing on the page, as highlighted as possible) improves the reader experience and helps those Hubs. We're not necessarily going to keep it this bare. We'll test out adding some things back and see if it's possible to find the perfect mix. Keep in mind this is by no means the final product. Looks good ! If it can boost traffic and SEO related things on automated way to boost the traffic / views it will be still great. Obviously HP has a reason for marginalising the author info, seeing as they've done it for both the fashion and the technology hubs. What that reason could be, one can only speculate. I can tell you since I'm one of the staff members responsible for these designs. 1. In the Technology Hub, we've removed all images in an attempt to make the page as fast as possible. We know that page speed makes a very big difference to readers. The faster the page, the more likely they are to engage with it. We will be slowly adding a few elements back to the page to see what engages readers the most--e.g. another ad unit, user pictures, social buttons. 2. In both the Fashion & Beauty and Technology designs, we have moved the author to after the title. It's more consistent with the way that professional journalistic sites (e.g. Washington Post, New York Times) attribute their authors. Blogs typically put authors in the side bars. We want readers to associate your writing and our HubPages brand with high quality content. We want them to trust us, pass that trust to you, and come back. Overall, our goal with these tests is to find the few, specific elements that best engage readers. By doing that, we help you and we help HubPages. I guess that's all a long way of saying, the jury is out on author pictures, but bringing them back is something we will test. Thanks for the reply. Only time will tell what works best so we'd have to wait. Success doesn't happen magically - something needs to be done. The team is dedicated and that's great. 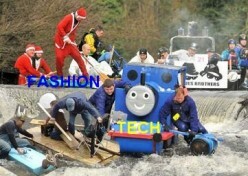 I'm fine with the technology design but would wait for the stats related to the fashion pinterest style format. The stats so far are that, for the most part, readers never see the pinboard. They don't get that far down the page. But, that overall page design does have readers tell us we look more trustworthy. We do know from our research that more content about topics they care about is overwhelmingly the thing that they say will engage them. So...we're putting that to the test with two vastly different ways: the pinboard and sidebar related hubs you see in fashion and the inline "others are also reading" in technology. I liked the idea of the related hubs below - just like in the Tech design. All due respect, but how many readers of the New York Times actually click onto the link associated with the author's name? To me, this looks as though you're trying to turn us all into staff writers for your online publication, rather than stand-alone writers as at present. I have no problem with that, but I DO have a problem with the fact that it looks like I wrote only one article for HubPages. If you want readers to trust the writer, then it should be more obvious that I'm a regular columnist, so we need a "read more by..." somewhere. On another note, I'm not sure if you're aware that Hubbers still have a list of outstanding questions regarding the Fashion layout. The answer to them all may be, "we hear your concerns but we don't want to tweak this further in the middle of testing", but it would be nice if someone were courteous enough to say that. Right now, people are feeling ignored. My first impression was that the design simply looked like a 'blogger' template. While that may not be a bad thing I guess it did make me lose a little 'trust' in the site. I think it's the fact that the background stays put while the content seems to float. -Less cluttered header - personally I don't want to see a picture and profile of the writer in the article - if I really am interested then I will click through to the profile. -Other's are also reading - for me this is far better than having a lot of 'pictures' on the right or below - I find that a lot of info surrounding the article often detracts from the article and stops me reading. -the space - there's a lot of space on the right - maybe expanding the text so there isn't much space would help? -background not moving with text. Thanks for the feedback SimeyC! As a moaner I'm going to surprise you here. I don't really have a view. I disliked the fashion changes, I'm not over keen on these changes - but then I don't like change. I believe that HP are doing their best to improve traffic and experience of the site for visitors, and therefore Google will like us more - and hopefully we will all make more money. They are experimenting with different areas, perhaps they are even thinking of splitting those areas into HubTech, HubFashion and so on. As long as they do it cautiously, carefully and check the feedback, stats, etc. - I'm happy to go along with anything they do. My 'job' is to try to write some decent content. But let's not dwell on that too much. I'm very happy to see the hub/hubber scores are gone. These are totally misleading to outside readers. They do not provide any indication of the quality of the hub content, but mainly reflect whether views have been going up or down recently. I am not happy that the author's profile has been downgraded to practically total invisibility. Since this is meant for improved reader experience I was looking at one of my technology Hubs without being logged in, so that I see it like a reader would see it. I've noticed that when not logged in, the entire text is squashed to the left. I know you are testing with having nothing in the right column. I'm not talking about that. I'm referring to the white background section of the Hub text itself. The text is pushed to the left in that area and leaving about 1/3 white space to the right. This compression is even worse when an image is used as it leaves little room for text to the left of images. To see what I mean, you need to be logged off. I also noticed you removed the avatars on comments. I think that adds some value to the comments, rather than being blind to who wrote what. Glenn, can you take a screen shot and show me? I've looked in both Safari and Firefox and I don't see what you see (logged out). I just logged out and checked my hubs as well as 2 hubs of other hubbers in the section. They seemed fine and there wasn't any white space. I checked on FireFox. Micki, The funny thing is that now it's okay. I don't know if there was a bug that was just fixed or if it was a downloading issue on my end. But it all seems fine now with the full width of the white text area. It's going to be interesting to watch how this works for SEO. I have a few Tech hubs and I'll be monitoring them in Google Analytics. It's nice how HP is actively working on improving our bottom line. It will take some testing and experimenting. But it's all for a better future. Glad it's working all right for you now, Glenn. Thanks! I kind of like the look, but with all of the sidebars removed, the empty space is extremely distracting. I always wished that Hubs had a wider margin of useable space but it looks extremely wasteful as it is. Otherwise, I am cautiously pleased with the Tech changes. If you're Hubs are in a group, they should show up in the related Hubs. Can you post the URL of some your Tech Hubs where they're in a group? I'll see if this a bug. Hmm I guess I figured it out. There was one hub in the group that didn't belong to the technology category. I removed that and then the other 3 hubs are appearing now. So am I supposed to check all my grouped hubs? Some are different categories. Glad it's working. You are correct, if the Hubs in the group are in a different top-level category, they won't show as related. If it's any consolation, lobobrandon, we're doing testing to improve the related Hubs algorithm. Uh oh. Please can I make a suggestion. I put a lot of time into Grouping Hubs but as for the Category, no idea. Therefore please can some kind of indicator be shown on the Groups part of our Account - so that we know that we are Grouping correctly? That just looks awful. Why can't they just leave it as it is? Don't fix what isn't broken! At the risk of sounding overly critical, I am not a fan of the new technology design at all. The background color and "tech" image seem more web 1.0 than cutting edge. The idea of doing something similar for varying topic categories (background images and pastel colors) across all HubPages comes across to me as unprofessional - more "blog" or homemade web page than a more professional destination for information. I think today's web audience is used to the trend back to white. It comes across as cleaner, making the Hub center stage rather than distracting backgrounds. I think HubPages has already accomplished this with its standard layout. If HubPages is wanting to differentiate topics in some way, Business Week's website does this by making the different topics different colors - navigation and titles, etc. - but not the background. Additionally, I am confused since you say that you are attempting to increase page load time. If that is the case nothing loads faster than a white background! While I am not a fan of the changes being tested for technology, I do want to say that I appreciate the efforts of HubPages to increase page load time and ways to increase revenue. Change often can be good, I just think this "look" misses the mark. Totally agree. The background is overwhelming and distracting. All professional publishing sites have a white background. This new design looks like the content is in a box and there is too much open real estate. It looks unfinished and homemade. anyway why would anybody be testing 'design' changes on a Live site. This development and testing stuff is usually done on a Dev environment with some test content. I feel like a guinea pig. You can't test Google traffic, Adsense income etc on a development site. HP don't really have much choice - at least it's not a whole site change and simply a change within a topic. I agree that standard practice is Dev, then User Acceptance, then live - but on a publishing site the norm goes out the window. POtentially they could have tested on a few sub-domains - but that may give a skewed answer depending on which sub-domains they chose! SimeyC, you are correct. You can not test what search users will do, how Google will treat the new design, how it monetizes, etc. in a Dev environment. We thought about the subdomains, but then it's difficult to get a proper, representative sample. Much easier on a category basis--especially given that we have a lot of good data that we track on a category basis anyway. klanguedoc, testing in a Dev environment works to make sure the feature or design change is functional. Or, for business/enterprise software, where you can show it to your customers, talk to a dozen of them and predict how the market will accept it. However, when it comes to a consumer-oriented web site like HubPages, where we have a cross-section of the average consumer and have several million of them a day, the only way to gauge their customer feedback is through live testing. It's pretty standard practice. MickiS, SimeyC you both have sound arguments. You are right to say that you need live content and readers to test user impact. I guess what is really bothering me is the background image, it is too overpowering. I find that is suffocation the Hub content and gives the impression that the hub is squeezed. HubPages currently ranks 6 on the Google scale. I presume that the reason for a drastic lay-out change is to get more credibility, achieve a higher rank and make more money. The old lay-out was fine. The fashion lay-out is ludecrously crowded, now the techno lay-out is ludecrously bare. What is HP trying to do apart from wasting everybody's time? The lay-out has never been the problem with HubPages. The problem is the huge amount of garbage content on the site. Without some kind of quality control no new or old design will move HubPages forwards as a website. In my humble opinion the only thing that would increase HubPages credibility, Google Ranking, and income is the quality of the Hubs content. So, instead of spending paid staff time blindly trying to re-design the site, why not devote that time on a major spring clean instead? Surely neither our readers, nor Google or advertisers are attracted by garbage content! Now may be the time to set some standards! One way to clean up would be to delete all Hubs that haven't reached a score of say 75 within a six months period from publication date? And close sub-standard dormant accounts? I must admit, taking out the garbage is a much more boring job than playing around with fancy and not so fancy new designs, but come on children, what are you getting paid for at HubPages other than to promote the quality of the site? First of all, Sue, we are not *blindly* redesigning the site. These designs have been well researched, well instrumented, and going through a very methodical process in order to optimize for all constituents. To be accused of doing it blindly, quite frankly, is insulting. Second, these design tests are not going on in a vacuum absent of other efforts of the HubPages staff. We spend A LOT of staff time--in fact, quite a bit more staff time--on the subject of quality content. For example, the Apprenticeship Program aims to identify new, promising writers and put them through an intensive training program with the aim of great, high quality content. Another example is the work that our team of Moderators does day in and day out. The list goes on. Third, to think that we can just delete a bunch of content--garbage or not--and not have consequences is naive. How would you feel if we just deleted some of your Hubs because we said they weren't getting any traffic? Hardly a good customer retention strategy. If you're upset about the design changes happening to your Hubs, how upset would you be if we just deleted what you wrote because we judged it to be garbage? Fourth, there are major search engine consequences to deleting content--whether it's "garbage" or not. We actually tested deleting a few hundred Hubs that never received any traffic and from user accounts that hadn't been active in a few years. Guess what? Fewer pages, fewer links, etc. etc. Negative impact on SEO. My point is this: your feedback is greatly appreciated, we are listening, and we are proceeding based on a lot of writer feedback, reader feedback, and a mountain of data. Based on all of it, re-designing the site really is extremely important to moving HubPages forward as a site. Ultimately what is going to draw readers is the quality of the content, but overall design plays a major role in eye appeal, navigation and first impressions: On the main page the topics should be at the top of the page, not the bottom. People are coming looking for content, not you is successful on HubPages. the spotlight on Hubbers should be move further down, maybe below the fold. Below the slideshow, there should be capsules by topic (revolving) of the latest, best, etc Hubs. The video about HubPages should be moved somewhere else. Just a taught, how about writer coaches? Looking at the fashion hubs design, I find this look better but I would have a capsules of related hubs and a separate section of the authors other hubs separated by a display ad. Also keep the author bio and maybe add Twitter, Facebook, etc author links do users can contact through these sources. All great feedback, klanguedoc. Thanks. Re: writer coaches, I'll pass that back to Jason and Simon. They are definitely working on programs to help writers that way. Your suggestions re: the Topics pages, we'll take into account when we get to re-designing those! Hub first, though. Over the next few weeks, you'll see some of the elements like the social media buttons, etc. re-appear on the page (and maybe disappear again) as we test what moves the needle with readers. Why get rid of hubs under 75 that would take at least half of my hubs out. I like even my low scoring hubs. I think that would be a sad thing to do. Just my opinion. This layout is much better! But, I miss the hubberscore, bubscore and hubber snippet at the top. Wil that be added back in? We may put the Hubscore back in for signed in users. It's definitely confusing to readers who come here from search. There seems to be mixed feedback about whether or not it should stay for signed users. The author picture with score is something we'll likely test putting back in. That and the user pictures on the comments. Just want to say thanks for at least trying to answer everyone's concerns about this new look, Micki! It helps our feelings a lot when some members of staff take the time to enlighten us as to new features. And you do it without suggesting folks leave if they don't like the way things are going here too. Ah..I see you're relatively new to HP. Welcome! Thanks, Randy! I'm trying, but at some point it becomes too much to follow it all! Good luck getting everything working smoothly. I know it's difficult to please everyone. Aha! You're a tennis player too! I've wopped a few in my younger years too! Your ad! Yes, keep the Hubscore when signed in please. That's a shame, so the garbage grows and grows and prevents the site improving. Could the cleansing process be programmed to be gradual - delete a few hubs at a time? Instead of doing it to the present hubs. I guess new standards should be set and allow only those hubs to be published. Addition of Pictures - there are plenty of free ones in case people don't have their own so that shouldn't be a problem. Also, a minimum of X capsules or something similar in addition to the word count. How can you objectively decide what is a good article or a bad article? It's very very subjective. Do we penalize for poor spelling and grammar? I've seen very bad grammar and spelling in quite a few articles, but they've provided me with all the information I wanted - would it be better to have a grammatically correct article with no information? Do we check each hub for accuracy? Do we get rid of articles that already are well covered on the web? That's the problem when you have thousands of articles - there really isn't an objective or fair way of deleting in bulk. The only thing we really can do is flag any hubs you think are poor and then hope the moderation process works well. I have seen my hubs way at the bottom with the lowest score. Than all at once the hubs will be way up. So I think it's foolish to want lower hubs removed. Micki, I just discovered a bug that is only in the Technology Hubs. The authorship micro code markup rel="author" is missing from the link back to the author's profile. This is in all other hubs but not in the Technology hubs. Please bring this to Jason's attention since he knows about the authorship code. He and I had some forum discussions about it back in September when it was first introduced. Google's Rich Snippets Test Tool failed for the Technology Hubs, which is how I discovered this. Glen, this is a bug. We will get this fixed straightaway. Thanks. Thanks Micki. I hope they get it fixed quick. I just checked today (Monday) and all technology Hubs are still failing Google's rich snippets test ("Page does not contain authorship markup"). All other hubs pass the test. I see why HP lost the micro format code. The rel=author was on the link to our profile that was removed when the entire right column was removed in technology hubs. My suggestion is to put the rel=author on the other author link which is under the title. That is something that can be done right away before we lose our Google authorship status. If the authorship markup is left off too long, Google will drop our authorship status on those hubs, which took time to build up. Glenn, this is fixed and will be rolling out to this site this afternoon. Thank you Micki. I just checked and I see it's okay with all the hubs now. And Google still shows my image, so nothing was lost. Good work. Thank the others for me too. I think many of us look at our sub domains as more than articles on a site. We've attempted to brand ourselves with niche topics, same avatar image and user name on various social media sites (although my avatar just changed here). I know I want those features and with more traffic coming in from mobile users, it seems important to keep those users in mind with layout and page load time. Those users will only continue to rise in number. Thanks for the hard work, and thanks for listening and responding. Excellent point about mobile users. They don't see the same Hub as the web version. When we detect a mobile browser, they get a different version. This design in Technology is largely what our current mobile users see (less a few graphical items to make the page load faster). I like the author picture and score, and hub score. It provides a clue about the writer and writer's ability. Someone mentioned fewer ads. Will that lower earnings? I do like the rest of the layout, so thanks for progress on the layout. I posted this idea in another thread. I decided that it is so utterly brilliant that I am reposting it here. I was saying to keep the social network buttons on the left and ads on the right Hmm should be a good idea. I miss the full author bio. All we have now is our name up there. It would be nice to have the image avatar to connect to us too. It could be a bit smaller than this example, i.e.keep it as before but move it to a pop-up when author name is clicked. And then "more hubs by author" could perhaps be incorporated in this feature? Next week, the whole site will be renamed ChameleonPages and the design will change to match the weather in your locale. Hi Staff, until the design is fixed could we at least have the voting buttons back so we can vote the hubs we read? Aren't hubbers in this category losing feedback because we are unable to leave them? There was a suggestion, once, that the voting buttons be removed - because if Hubbers can't express their appreciation by voting, they're more likely to express it by commenting, or by sharing in Facebook, Tweeting etc. Commenting and sharing have concrete benefits for the author whereas voting doesn't, so I think that's a theory worth testing (and testing is what these layouts are all about). Agreed. Voting is a worthless waste. I just read lobobrandon's hub about woven bags and it looked great in my opinion. It was not all cluttered up with distracting images like the fashion hubs. I liked the more subtle links to "what others are reading" at the end. I was going to vote it up and share it but did not see anywhere that I could do it. Also missed seeing the read more hubs by lobobrandon. Those are the only things missing as far as I can determine. I even liked the design on the right side of the page. It looks like a tech design. Good work! Wish that was my area of expertise. I would be happy to have my hubs look like that! I have the opposite reaction. I don't hate it...it just looks unfinished to me. The blank wall does not really appeal to me but I guess to each her own. My main problem though is the inability to vote. It is unfinished. One of the staff mentioned earlier that features would be added as they continue to test. I know it's not finished RebekahELLE , but they could have made it look so for the sake of our visitors. Similar to the beauty hubs they could have put stuff to the right so it doesn't have that blank look. My question is, why roll it out before it is at least 99% complete? Its unfinished meaning it's under testing and they're comparing stats and load times when there's nothing against when it's got something. That way they can keep the best things and remove the rest. I know that Brandon. They could have given it a "finished look" is my point. It doesn't have to be finished to look finished is all I am saying. Actually I think I like the new design it's more Hub Focused at present. But, there will be tweaks and so there's always hope for it to be just as you like. I have been very vocal about my dislike of the new design the impact on readership and ad revenu. As promised, I have verified my earnings from the first part of the week to the earnings since the "Experiment" went live. The first part of the week, my earnings average $4.19 a day (Monday through Thursday) and Friday my earnings dropped to $1.62 for about the same readership. That is over a 50% drop in earnings in one day because of your cavalier experiment with our hard work and investment. I am not very impressed!!! Oh, it looks simpler than the fashion hubs. There are three different kinds of topics where they are testing the structure/layouts of the pages - fashion and beauty, technology and what is the other one? I believe technology is the minimalist, fashion and beauty with the heavy and crowded page. Perhaps the other topic will be the moderate page in terms of layout. Hope the changes will be positive and there will be an increase in views. For how long is this testing done? I am pleased that HP is looking to resign the site and do proper analysis to confirm increases in traffic and earnings. But I am not happy that HP is experimenting with my articles and that this could take weeks or months. This will affect my earning and my reputation - the pages look unfinished and unprofessional - this is likely to affect repeat visits and flow-on to related articles by the same author. The same applies to all Hubbers in the affected categories. Please hurry up and finish it. There does not seem to be enough respect for the impact on authors and the need for haste. As I mentioned above, I lost 50% of my earnings in ONE day since this "experiment" started last Thursday. I have writing on HP for nearly two years and I have come to notice that I lose on average 50% of my readers on every Saturday and Sunday, so I assume that 50% of my readers are people who are at work, struggling with some computer code or program, people doing real work, looking for real answers. The other 50% are probably students maybe struggling with a term project, hobbyist or someone developing their first app, dreaming about making it big, like most of us. Real people. Now, I can just imagine them Googling for an answer to get them through their roadblock, to figure why they are always the same error when they run their app in the dev IDE and they come to my content and see this empty page with a weird background. Are they going to stick around and check out the tutorial and code that I spent 10 to 15 hours to write, debug and test and another 5 to 10 hours to write or will first impressions come into play and move on? Because will they trust some guy's advice and code in their application at work or for a term project when the page looks half baked? Well I wouldn't. When I search for an answer or a code sample to help with some programming problem at work and I come across an amateurish site, I move on. I really hope this all works out because I really enjoyed my time here at HP. Hi janderson, I am sure Ms MickiS and other staff are monitoring this forum and are looking into these concerns now. I think there must have been a Google algorighm change, because many hubbers (across all categories) and bloggers are reporting decreased viewership. The test has to take place for a long enough period of time to actually see the effects and make sure the change in traffic is not due to something else - like weekend vs weekday, day vs night, before / after algorighm changes, etc. Yeah But - they can compare changes in Tech and Fashion stats with that of other categories. Time to write elsewhere in these categories, I think. I have been writing on HP for almost 2 years now and as a rule of thumb my readership drops off by 50% every week end. My readership this week is on par normal, no change in pattern. On Friday my readership was around 1500 and today it is 850 (+/-). This is completely normal. What is not normal is the 50% in revenue on Friday. I can expect 10% - 15%, but not 50%. Heck my revenu on Friday was even less then my normal revenu on the week end. I guess my problem is that over 95% of my content is in Tech and 100% of all my content is at HP. I guess I am feeling vulnerable. I really need to diversify. My feelings exactly. Probably check what the tide brings in after a month or so. Was that an iceberg I saw in the porthole? Klanguedoc, I am really sorry about what is happening. I wish there was something I could do but not being a HP techi.....well it's up to them to fix it. I think the problem is the look of the page as is. When I first saw the page before I knew of the changes I thought my browser wasn't loading properly. It could be that visitors see the page as unfinished or difficult to load. Many people online do not have the patience to wait on one page to load properly when there are hundreds of other sites they could visit. I hope it is fixed soon. No worries. I have a thick skin. I would rather you express your opinions and feedback than not. you need more banner ads, by this I mean re-instate the HP Ad Program layout with banner ads at the top and on the side. Or, is it a logistical or technical impossibility to issue an all inclusive general "Stay" to hard work published by those who wish to abstain from experimentation? I panicked too when I first saw all these changes. But then I decided to think through how I would do things if I was the site owner, and I think I would do the same things they are doing. HubPages is testing out things for the betterment of the site. Once they come up with the alternative prime hub layout, will you be willing to stay with the old format? How can they truly test the changes if some people opt out of them? Do you want them to spread out their resources creating and changing settings to let some people stick with the old format instead of analyzing the data to see what works? How will they know what works if there are so many different layouts? How will you like the site when there are millions of different formats, one for each person and their preferences? HubPages will then have a much more bloglike feel, and we will not be as able to utilize all of the advantages that this site brings us. For now, I will stay calm as they test out the formats, and give them my input about what I like and what I don't like. Most of all, I will try to remember that they are doing it to help the community as a whole. Exactly I see it the same way They did ask for feedback and they're taking it positively and there have been plenty of improvements already - I'm sure there are plenty more to come. I just published a new hub in the Technology topic and was quite surprised to see the social sharing links and voting buttons missing. I hope HP at least puts back in the authors pictures and some kind of link to our other content beyond just the link to our profile. Removing the social sharing buttons is a huge mistake as Like'ing, Tweeting..., obviously is a huge signal to Google. Why in the world would you want to remove THAT for? I just flagged a hub in this sector, using the flag link. The top advert, which had been displaying in the hub, remained firmly put in the middle of the flagging screen. Although I found I was able to type "over" the ad, and the text went into the flagging comments box, it was somewhat disconcerting! My initial reactions on this technology makeover are not positive in any manner. I do not care for the way the advertisements are broken down as they now appear to be "placed" there by the writer when they are not. Second - why are the "see what others are reading" sitting before comments? This should be in the right hand sidebar not taking up valuable real estate before comments -- my opinion is that this could mean fewer comments since the reader is liable to "wander" off to other areas and read what others are reading. Where are the share buttons? No Twitter, no Pinterest and no Facebook. Way to make it easier for people - seriously? There should also be some consideration given to the individual channels. For example, this "techie" background isn't necessarily ideal for "All Topics »Technology »Internet and the Web »Internet Scams and Frauds »"
The "narrow" look in the center looks like a poorly thought out blog. I don't like it one tiny bit. I just checked out some technology hubs. My goodness, one extreme to another. This is minimalist almost to the max. I don't write on technology, but I don't think I like this layout. So bare. At least show related hubs of the author on the right side bar. Hubber scores and hubscores are gone... that's good. They are only relevant within Hubpages. Hubpages is working on its brand. That's good, as we, as hubbers, are part of Hubpages. But, on the other hand, we, as hubbers, are also working on our own individual brand as a writer here on Hubpages. We use our profile name and profile photo as part of our own individual brand. Those, together with our style of writing and the topics we write about, create our brand or signature here on Hubpages. So, at least show our profile photo with our profile name on our hubs. Call me paranoid but I think HP is trying to minimise the hubber as an individual "brand" - why else would two redesigns (for fashion and technology) be so radically different yet have that one thing in common? Having our own subdomain makes each of us more vulnerable to the swings and roundabouts of Google algorithm changes, and yet now we appear to be losing one of the strengths that being members of HubPages has given us up to now, namely a strong brand* identity and ready encouragement to readers to look at our profile/other hubs. It really is the worst of both worlds. *I still hate that word "brand" but it's the shortest way to get the message across. I was checking my email notifications for new hubs by those I follow and I couldn't tweet the new tech hubs without a copy/paste do it myself! I really think the missing social media buttons need to return. Every article website has share functions. Please bring them back. I actually like the layout that we have already. It really makes the page look spaced out correctly and everything is easy to see. Not sure about if it will appeal or not to the people who will come in to technology hubs from search engines. I have returned to look at the style four or five times hoping my first impression would 'wear off' and I would be enlightened as to the choice of background. But I cannot really view it in a detached way as a first time visitor to the site would. Plus I spent four years training at an art and design college so maybe I am more critical of page appearance. I think first impressions count, I suspect this re-design testing might have something to do with how long some one spends on the page and also bounce rate. Pity, that it was not possible to keep some of the Fashion pages as they were and test them against the new style Fashion pages and the same with technology too. As traffic fluctuations are constantly occurring (the graphs look like a journey undertaken on a space hopper at times) it may be difficult to judge if HubPages are affecting the stats or some outside influence such as the big G. tweaking something. Some of my pages have not recovered yet from being put on a pin board style page here but I will cull them if necessary. For what it's worth, I came back to Hubpages partly because its uncluttered, clean, minimalist design looked much better than any other site where I publish. The skin did not clash with my content. Basic black goes with casual, informational, fun, or sales-focused articles. I'll take a significant pay cut to write on a site that looks good! If the clean, professional, minimalist design of black on white is replaced with colorful backgrounds(technology template), lots of animated ads, or excessive stuff in the sidebar (fashion template), it will in my opinion lose one of Hubpages' greatest design strengths and drive some people away who were previously attracted to its better-than-most interface. The old design looks trustworthy (apart from the glaring formatting problems in Amazon capsules). The uniformity of appearance across the site may actually be a strength. I'm not naming names, but some other sites attack us with too many colors and bewilder us with theme changes across different subjects. They look corny, unprofessional, and -- worst of all -- tend to compete visually with the content hosted on them: by going for a "certain look" they inevitably clash with content that needs a different look. More professional sites like online newspapers, Wikipedia and industry blogs usually stick to uniform-across-the-site, minimalist designs like the one Hubpages has had up to now. About the only thing on the Hubpages layout that was problematic before is that the hubscore (totally useless for visitors) tended to push the headline onto two lines, eating up valuable above-the-fold real estate. Hard to disagree with this. One thing I would say, though, is that the stuff in the side bar on the original design conveys the impression that Hubpages is a big, busy site, with plenty going on. If a tumble weed rolled slowly across the screen on the present tech hubs it wouldn't surprise me. They look like pages from a MFA or purely for the affiliate sales type, micro site. I realize the many contradictions in my complaint, of course. The truth is I am just one guy on my own, trying to make a dollar with almost no editorial oversight and no journalistic standards but my own. I would just prefer it looked a little less that way. My reaction in a nutshell! I like the blue colouring on the background of the tech hubs however I do not think the circuit board applies to all of the topics. For example, I just posted as hub about Facebook and it does not really fit that well. I also think that having nothing on the outsides of the hub other than blue space is too bare. I think there should be sharing buttons on the hub. If the reader is interested and want to share, they now have to copy the link and open a new session of the social media network of interest. That's a lot more work and the number of shares of hubs could drop drastically. glenn, If it wasn't for your sharp eye the rest of us here on HP, may have defintiely overlooked the google authorship issue on folks who have published technology hubs here. As they say hard work and persistence pays off-as it did in your case! I already gave you an answer to your question. Look in the thread prior to your last post. 1. The width of the top banner ad is 728, so I think the width of the Hub should match that width, then it will look good. 2. Many Hubbers are not participating in Hubpages ad program, so with this new layout of Hubpages only 2 Adsense ad units are left for them (Along with 1 link unit). The extra ad unit they have should come at the end of Hub. The Hubs participating in ad program have this ad unit below Hub. Now if Hubbers directly earning through Adsense do have one extra ad unit left, it should come below Hub. This will help to improve the earnings of both Hubpages and Hubbers. (Everyone should participate in Hubpages ad program is not the solution, as it never works for everyone). The new layout is better than previous one, but since my earnings dropped slightly, the third ad unit is crucial for me, otherwise previous layout worked better for me. More ads, more choice for readers, and more chances that they will click the ads, more money. 3 ad units are good for both readers and Hubbers. People were talking about outsider visitor experience right. I just checked a hub in the tech category through Google and I never even noticed it was a hub until I finished reading and noticed the related hubs at the bottom It was a brilliant read as there weren't any distractions. I'm sure others would find it the same. I've not been following all the threads on the new layout so please excuse me if this has been mentioned already. On looking at the layout there is no profile picture of the writer and where are the Twitter and +1 google buttons? Are these not going to appear? Thanks for your quick response. Have HP's actually said they are going to replace them or are you second guessing what might happen? They are testing out the features and I'm not guessing. But the author picture whether it will be back that I'm not sure. If it's really important to you, consider switching your hubs to another category that's not under the technology category. The only thing is that you still need to find a category that is relevant to your subject. That may not be so easy. I would recommend being patient since the changes take time to have an affect with SEO. The end result of the experiment is to improve the experience for everyone, even if there may be stumbling blocks along the way. And yes, of course there will be stumbling blocks along the way, some of which might realistically trigger an unstoppable, irreversible, devastating calamity - One which could sporadically occur in the blink of a virtual eye without prior notice, rendering everyone involved including yourself, Impotent & Helpless - Then what? - Who steps up and says I was wrong? With that said, why do you feel such a drastic, risky change is necessary when there were no previous complaints from members nor visitors/users that I'm aware of regarding the current un-altered layout? - Why the unilateral decision? Finally, what happens if the experiments crash the entire site or individual subs again? Who will accept responsibility? The realization eventually sets in to all of us as to the relationship of the writers to HubPages, AP. In this particular game we are simply the players and HP owns the ball. We can suggest and complain, but that's about the size of it. We can't continue to play on this field without a ball. If we don't like the rules HP decide on, there are always more players sitting on the bench who will beg the coach to let them into the game. These players may not be as good at the game as those who left, but they will take anything dished out to them they don't agree with without a complaint, and may even lambast those who do. They may even be appointed a captain of the team, or become a cheerleader, if they do this well enough. There are always these sorts on any ball team with this one being no different. Fairness to the players is not required in this game. It is most often secondary to the team owner's momentary interests. The owners will be fair if it is convenient to their main interests, but only then. Or you can do like many others who disliked the team's winning percentage or play calling and simply buy your own ball. No, I don't like it either, but there it is. No, it is not possible to exclude specific users from these tests. MickiS...since you are experimenting with the layout, please try one with the text centered on the page, instead of offset to the left of center. Why not "test" a left sidebar? This could include the social bookmarks and Author information or even links. I see on other major web sites where the large main AD is on the Top Right a lot of the time. Why not place it there on HP? The white background, we have now, does make the text and sidebar look wider than the colored backgrounds. ***If you can/would...allow a Picture on the "left" side in the hub. We only can have them on the right of text now. I have seen online articles where "one" image is on the left, near the top, and it looks good. Just some suggestions to help. MickiS ==>>> When is the experiment going to END! Surely HP must know. The authors' reputation is being damaged by this, as well as earnings. If we can't opt out, and there appears to be little opportunity to change things (only a sprinkle or drizzle of replies) please tell us when this nightmare will end. Staff reply/feedback rates are extremely disappointing and this is killing off hubber feedback, despite the request for comments and suggestion ( I have given up). Just watched Simone Smith's new video hub and I really like the clean design. I realize there will need to be some changes to get the format just right but I like this design because it helps the reader to focus on the content in the hub.